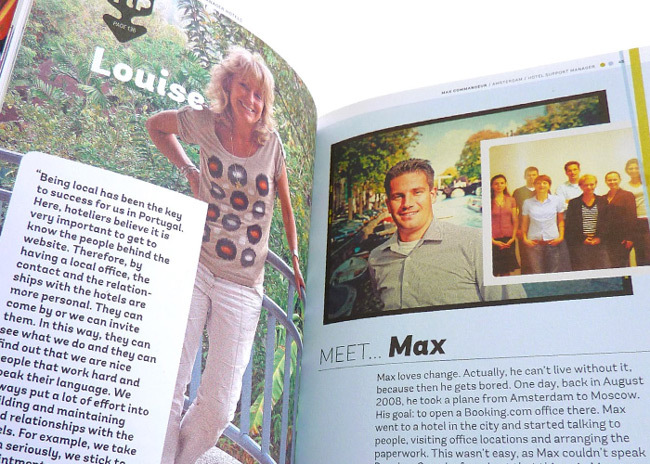 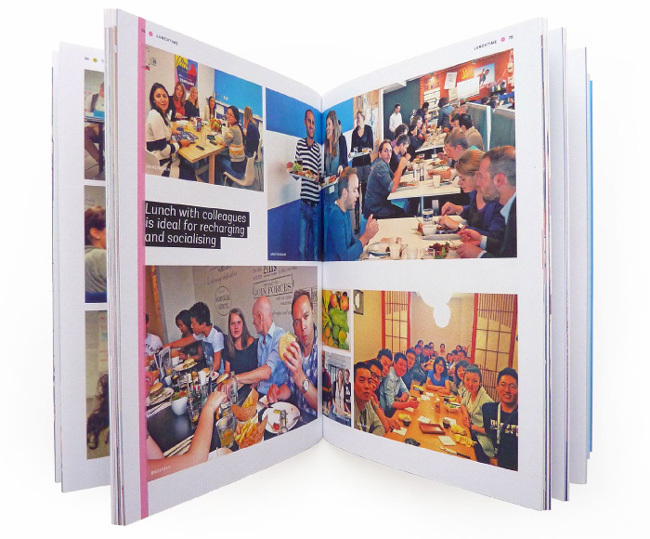 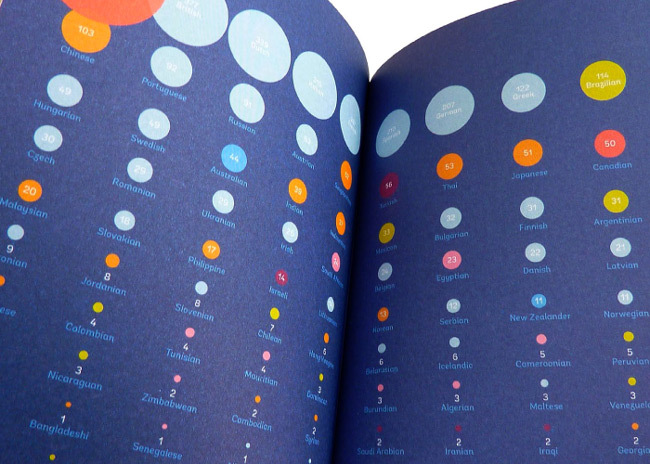 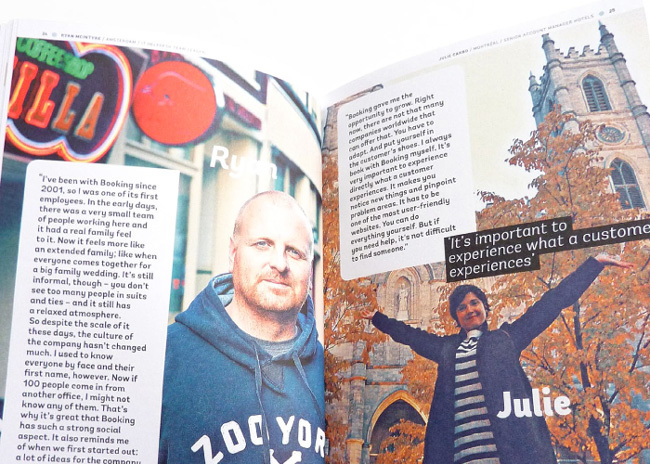 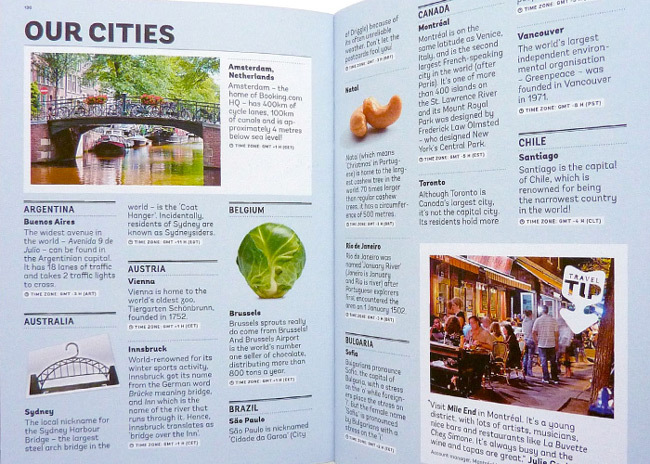 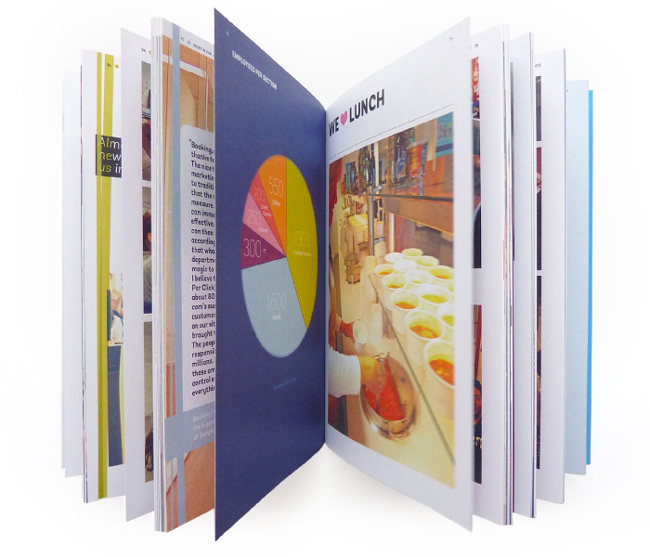 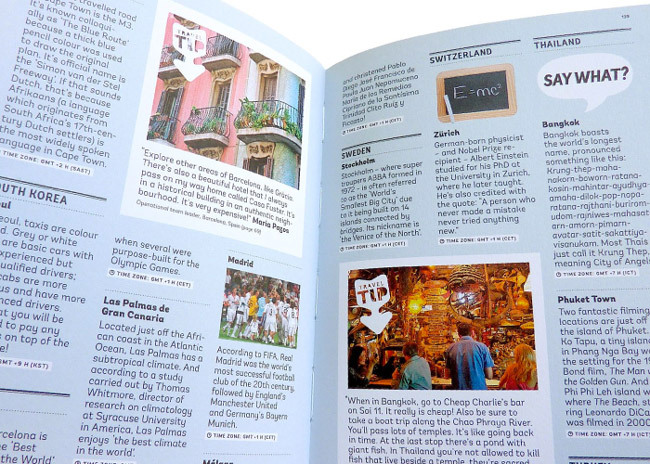 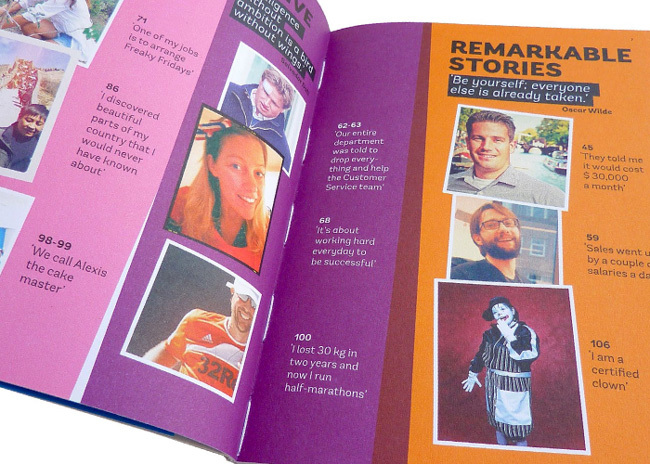 The development of this book was the first step in a new internal communications strategy at Booking.com. 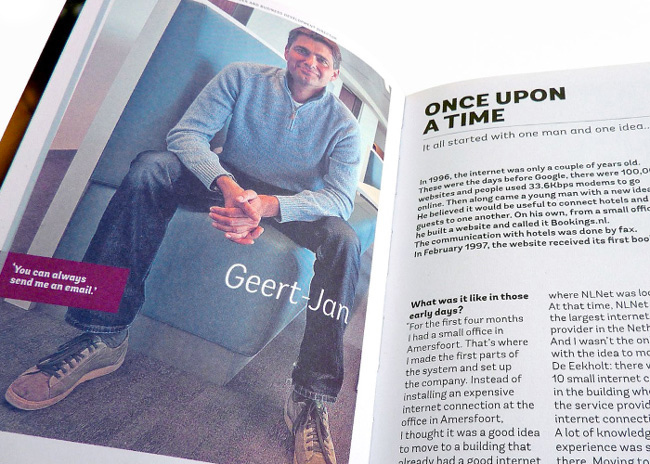 As this internet company is growing rapidly, the objective was keeping the original company culture alive, as well as communicating the company’s values and modus operandi to the many new employees. 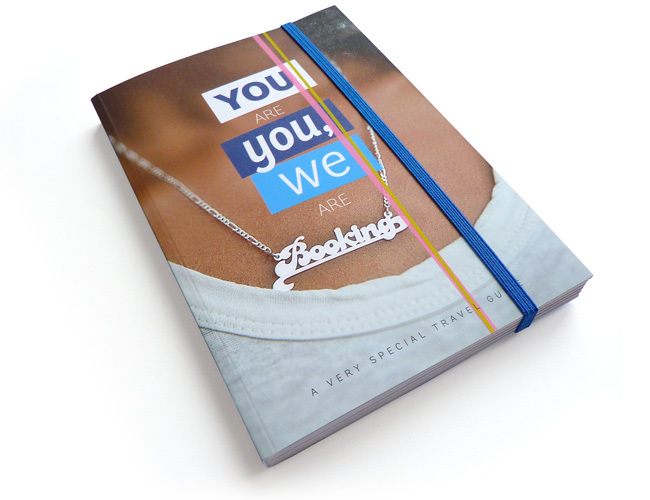 In this book, the story of Booking.com is told through its employees.